Pesticides, fertilisers, water chemicals, and whatever else you may be spraying are pretty heavy, and farms are big. 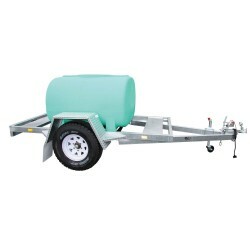 As a Rapid Spray supplier, we’ve got cartage trailers to help you transport your product easily and reliably. 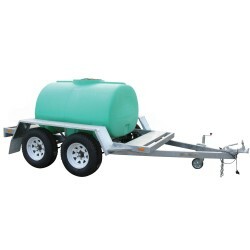 Whether your job is big or small, we have cartage trailers of all sizes, with tanks from 400L to 3000L. All our cartage trailers come with the option to upgrade to extra features, so we can help you if you’re after something basic, as well as if you’re wanting something more. And if you still can’t find what you need, just get in touch to see how we can custom meet your requirements today. Shopping is easy with us, and we make sure delivery is just as easy too. We’ll deliver to any address in Australia from the manufacturing facility that’s closest to you, so you can get your products both quickly and cheaply. Shop now and see why we’re number one when it comes to spraying and service.